One of the things I would love to do in my old age is travel through time. Yes, visit the past. I really don’t want to step out of the time machine and be run over by a chariot, but I would pay someone a hefty ticket price to sit on board and just watch time unfold firsthand and maybe snap a few high resolution photos and a post some video to YouTube. I may not be able to visit the past by way of H.G. Wells’ invention, but the next best thing is already closer than you would imagine. The home movies our parents made back in the days of the soda fountain, Elvis, and the full service gas station are now coming out of their dusty storage boxes being reborn as digital family treasures. The same technology that was used to restore major motion pictures from the good old days, now is at hand for those on a more limited budget than Ted Turner had at his disposal when he re-mastered “Gone With The Wind”. It was 1956 when my parents purchased a glossy yellow 1955 Buick Century with power everything. It was a very good year for our family of six, so mama just had to have a movie camera to archive the festivities wherever we went. Our family had some great times back then, and my mother filmed most of the highlights. 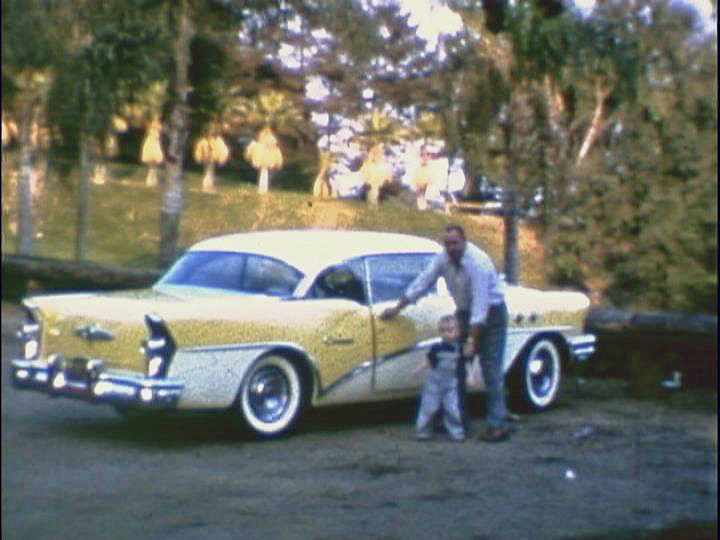 Two years ago I had all of the family 8mm movies dating from 1956 digitized. 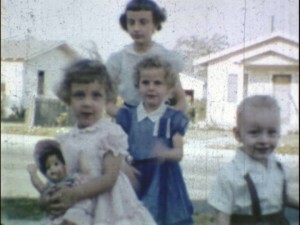 The movies were scanned and re-imaged as Audio Video Image files or AVI computer files.This conversion allows for a complete edit, or cleanup of the movie so we now have cleaner images than we had in 1956. The detail is quite excellent. With a computer, unlike the old hot light bulb that melted film, stop-motion is easy, and allows for detailed viewing of your favorite images. I am also able to create and print photos from individual frames using screenshots which are possible on the PC when the movie is paused. The entire process of bringing the old pictures to the new technology is often referred to as media conversion, or media transfer. Time travel is indeed possible, just not the kind H.G. Wells wrote about. Mr. H.G. Wells may have enjoyed this kind of time travel even more! We have all had those sickening advertisements pop up in our face while we are innocently following a web link to something that has captured our attention. It’s almost like the midnight cable TV guys are out in force , now on the computer spewing ads in our faces. “How to make BIG money online in the comfort of your home!”. Sometimes we sort-of believe those ads, and we really WANT them to be true….. but most are not. It seems that everything is just another lead to sell you a program or “system”, perhaps a $2,000 seminar to successful marketing. I know these things….. I personally have spent THOUSANDS of Bit coins…(I mean Dollars), most of which made the authors wealthy, not me. So what Can make you money online , without costing you a month’s pay?? There are several ways to sell online, but the three most popular are eBay, Amazon, and Craigslist. The truth is, you probably have a whole bunch of stuff that other people want Today, and are willing to pay for it. might even have enough stuff to finance a few house or car payments, all you need is a little bit of computer face time and a garage sale mindset. Craigslist is simple, but remember it is Local, not meant to be Nationwide. Sell your larger expensive to ship stuff, but be careful…. meet people publicly when selling or buying, there are crazies out there! Just follow the instructions on Craigslist.com. I have had mixed results with Craigslist, both for vehicles and smaller laptops and parts. Amazon is relatively new to selling on a grand scale, but they are moving aggressively to compete. I recently traded in some music CD’s, there is quick money there, but you are basically giving the product to them ( only 25 cents fore some CD’s, 5 dollars for others),but Amazon has a lot of potential for making you wealthy. I have been told they will even warehouse your stuff. Again, check their website, open an account and tie your card or checkbook to the account, and you are up and running! At 101 Computers, we actually sold a steering wheel for over seven hundred dollars not too long ago. It is always surprising to find exactly what people will or absolutely will not buy, I have been on both sides of the system, both buying and selling. It is quite thrilling to get a money order in the mail, or better yet, money immediately, via a Paypal account. The big kid on the block, has a large commission, and Fees, but Nationwide exposure, it is worth the trouble if you can live with a significant discount for a sale price, AND around 15 percent worth of FEES! To get started, you need an account at eBay. Just go to eBay.com and follow their lead , get an account , and….if you are ready to rumble ( sell), attach a bank account and start making money….little money at first, but who knows…. maybe it IS your ticket to the big Bucks! 101 Computers can guide you through the whole process. Just call or email! And if you do make it to the Big Time……Don’t forget the “little people”, (like me)!